Most people cringe in horror at the mere mention of calculus, but one man loved it so much, he designed his Toronto dream house around it. 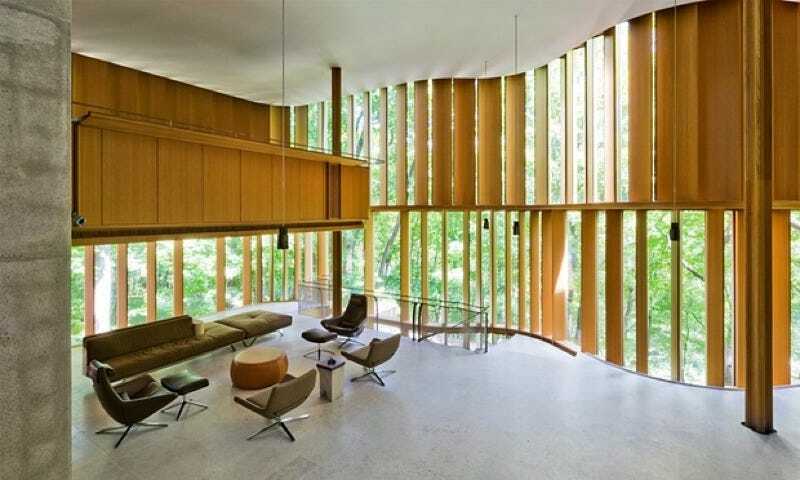 And now the so-called “Integral House” — named after one of the key concepts in calculus — has hit the market. Asking price: a cool £11.4 million (about $17.2 million). The integral in calculus, for those whose math is a bit rusty, is essentially the process of adding up lots of tiny pieces and using it to, for instance, figure out how far a car has traveled if you only know its speed. It’s the flip side of the derivative, which describes the rate at which a thing is changing. So if you only knew the position of that car, you could use that information to figure out its speed. One is a process of multiplication and addition; the other of subtraction and division. Both are essential tools for describing any kind of motion or change. I like to think of curves as being geometry in motion. The motion of a swinging pendulum forms the arc of a circle. A bouncing spring forms a perfect sine wave in the absence of friction. You can graph that motion as a smooth, continuous curve and use it to make predictions about where that object will go (or has been). Tracking how things change over time is pretty much the essence of calculus, so curves are like the “faces” of mathematical functions. The integral corresponds to the area under the curve; the derivative is the slope of the tangent line to a point on that curve. Anyway, that sense of motion, of flow, is exactly what Stewart wanted to bring to the design of Integral House — that and killer acoustics for a kickass concert space. (Philip Glass and Steve Reich have both performed for fundraisers at the house, which can easily accommodate 200 people.) It took six years and £15 million, but by 2009 Stewart had the house of his dreams. Alas, Stewart died last December at 73, from a rare blood cancer, and now the house that calculus built is hitting the auction block. But can you really put a price on the beauty of calculus?